Print and save as a memento. Get the Highland Park Time Map celebrating A Century at Home. Have you ever strolled through Highland Park and wondered what happened where? 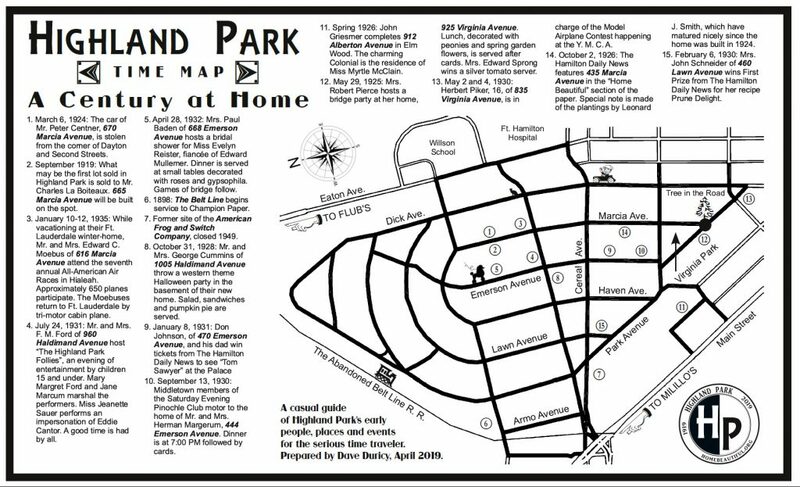 Download your copy of the Time Map for a glimpse of daily life in Highland Park during the early days of the neighborhood. Addresses indicated ARE NOT open for touring. Print map on legal size paper for best appearance. Get the Highland Park brochure celebrating A Century at Home. Learn how Highland Park came to be and the names of the early residents. 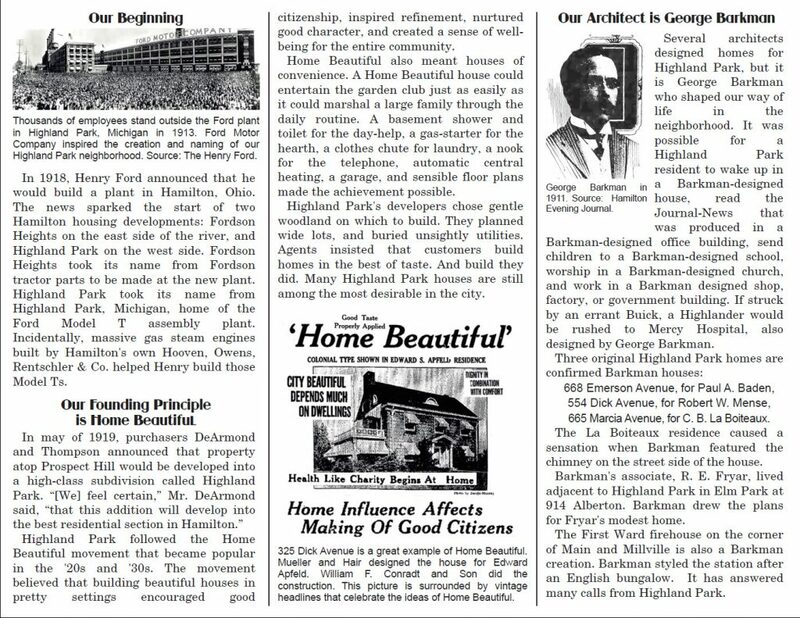 Get acquainted with George Barkman who designed homes in Highland Park plus many Hamilton buildings you see every day. Print on letter size paper, front and back, for best appearance.